Valtech has been working with Episerver since 2001 and is one of only a handful of Episerver Global and Premium Solution Partners. With over 60 certified developers and hundreds of client references worldwide we are capable of implementing even the most complex solutions, and have experience doing so across a wide range of industries. Our experience spans the breadth of the Episerver platform, including CMS, Commerce, Digital Marketing, Social, Mobile, Personalization, Workflows, Search and Cloud Hosting. 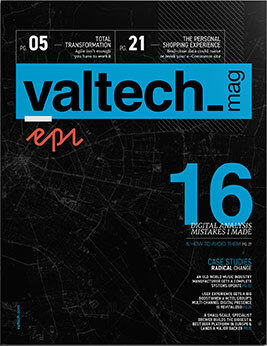 Throughout the years, Valtech has won several Episerver awards for the outstanding work we have done for our clients. With over a decades worth of Episerver experience, we have compiled our knowledge to provide tips and insight that have helped our clients better connect with their customers. We hope this magazine will be an inspirational guide to understanding how Episerver can enhance your digital presence in a competitive market. As recipients of several Episerver awards and with 60 certified Episerver developers, this magazine is a product of expertise. 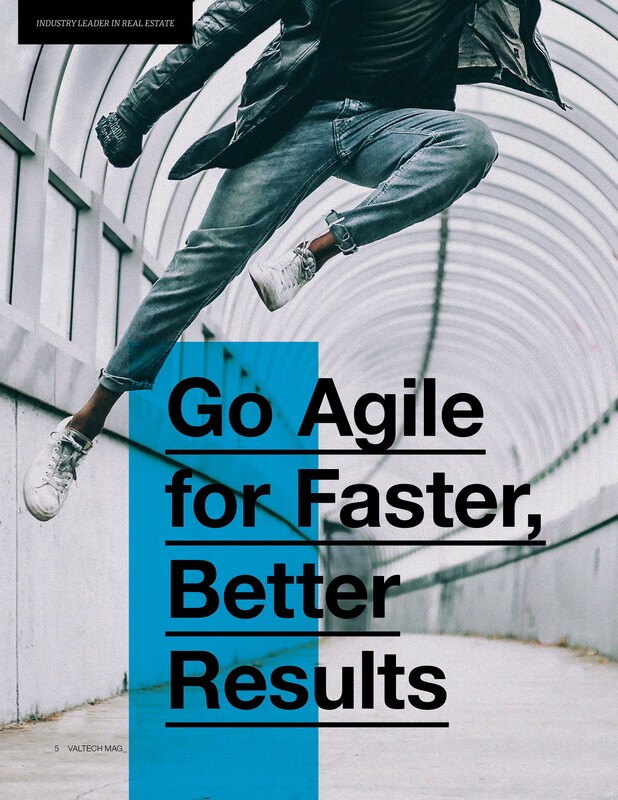 This magazine examines how we tailor our techniques to meet our client’s objectives. This magazine details the successful tactics used in our campaigns for our diverse clientele. Our articles range from basic digital tips to the execution of complex marketing techniques and strategies. Collaborating with Episerver since 2001, this magazine provides insight from over a decade worth of experience. Would you like to share the Episerver Mag with your prospects or colleagues? Send them here to download their own digital copy absolutely free. 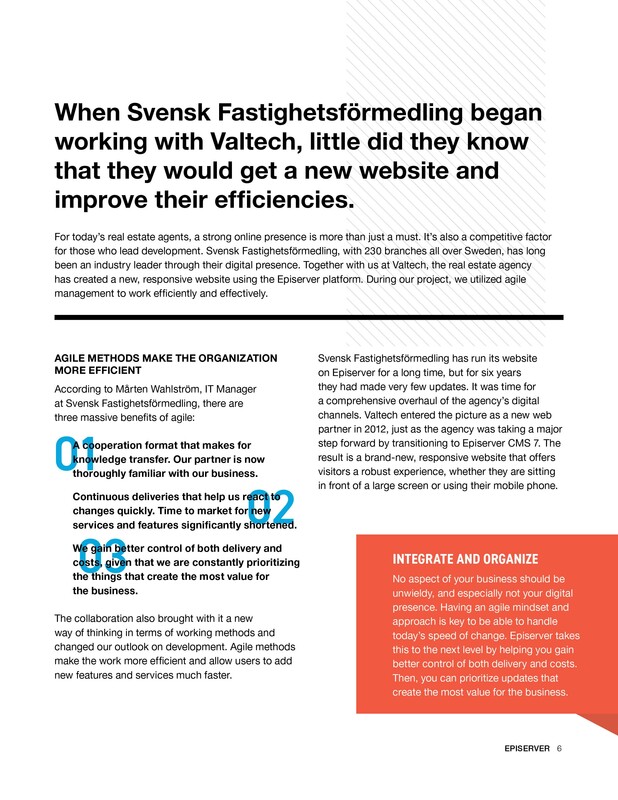 Ready to leverage the knowledge in Valtech Mag Episerver? © 2018 Valtech Solutions. All rights reserved. From language preference to AI customization, we provide the levels of personalization involved as well as which members of your team manage each step. 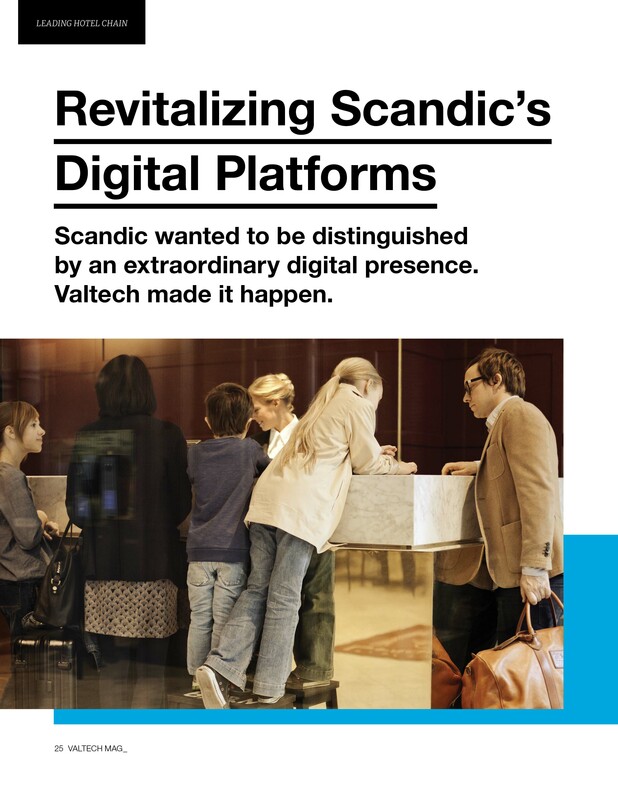 Learn how Valtech transformed Scandic’s multi-channel digital presence to create an unparalleled user experience that goes far beyond their hotel stay. We all make digital marketing mistakes, but what do we learn from them? 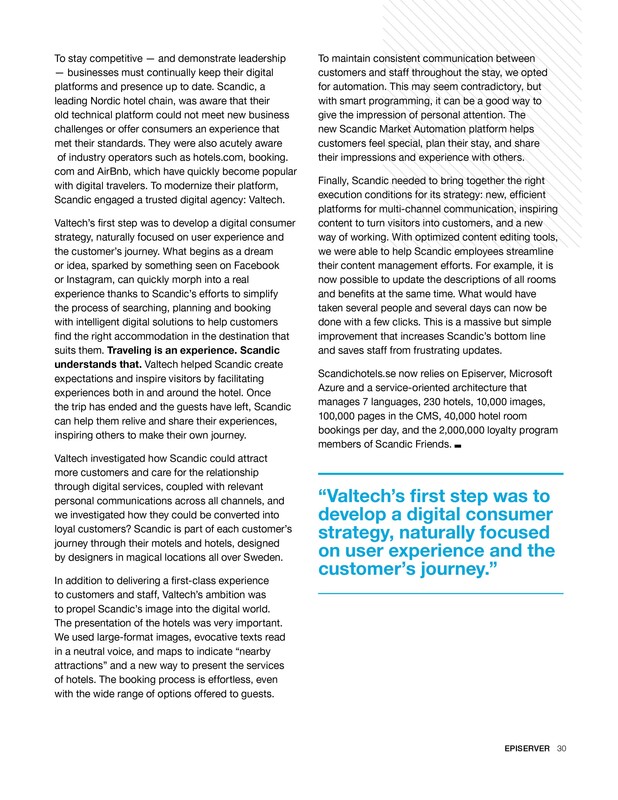 Valtech’s digital strategy expert Daniel Hansson wants to help you avoid the mistakes he has made. 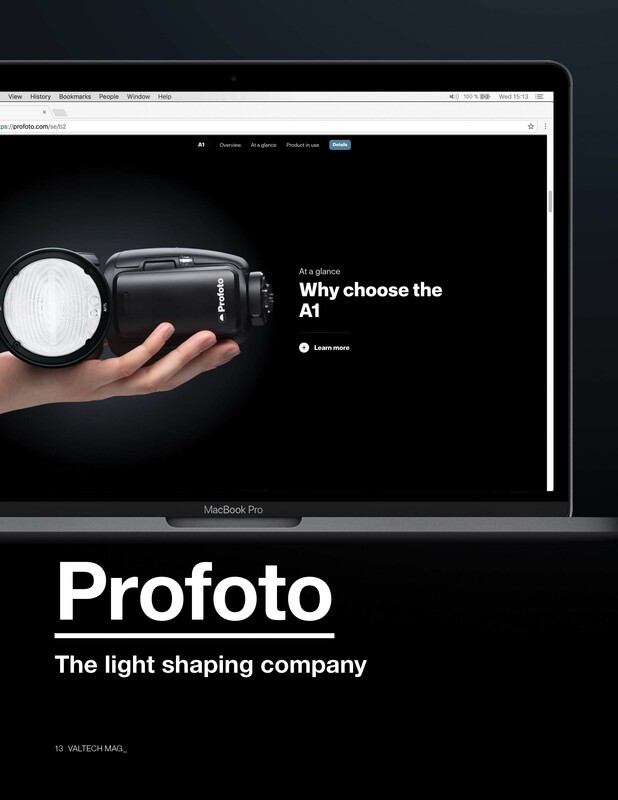 The lighting brand Profoto worked with Valtech and Episerver to replace their digital solution, thereby better meeting the needs of modern photographers.